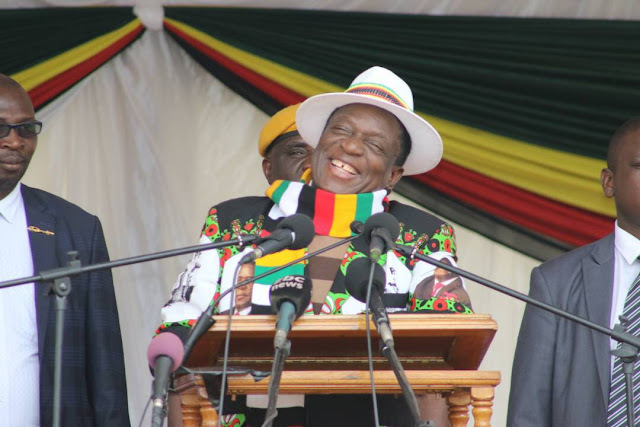 President Mnangagwa yesterday said Zanu-PF is set for victory in the July 30 harmonised elections and implored supporters to maintain peace. The President, who is also Zanu-PF First Secretary, said this while addressing thousands of party supporters at Somhlolo Stadium in Lupane, Matabeleland North Province. “What we are saying is let us be united. We want a peaceful, credible and transparent election and this we are going to achieve as the ruling party,” he said. President Mnangagwa said Zanu-PF had an illustrious history dating back to the liberation struggle. “Zanu-PF is a party with a history dating back to the days of the liberation struggle. Zanu-PF’s leadership is drawn from the people and is people-oriented,” added President Mnangagwa. He said Government had invited foreign observers for the elections and urged party cardres to welcome them with respect. “We have invited observers for the elections and you should be respectful to them when you meet them,” he said. He took a swipe at the MDC-Alliance for expending their energies on demonstrations. “Those that are doing demonstrations should know that demonstrations do not vote. People vote privately in the booths one by one and we are certain that Zanu PF will win,” said President Mnangagwa. He reiterated that the country was on a development trajectory and urged people to focus on economic development. President Mnangagwa condemned corruption saying people should earn wealth through hard work. “We say down with corruption. We do not condone corruption. We want Zimbabweans to be hard working. We want millionaires but it should be through honest and hard work,” he said. He said Government was committed to devolution of State power to provinces. “Each province must grow its own economy; that is what the new dispensation is saying by devolving central power to all provinces. “There is no province without resources so we should devolve power to all provinces because they know what they want,” he said. “We want to uplift our country so that we get decent jobs and we will look at sector by sector. New factories are being opened and old ones are being resuscitated. President Mnangagwa said Government had embarked on an engagement and re-engagement process following 20 years of isolation through illegal sanctions that were imposed by the West. “We had 20 years of isolation but we are now saying we are going to engage and re-engage but mutually respecting each other,” he said. The President said Matabeleland North was endowed with natural resources like gold, coal, diamonds and lithium.